Featured in the list of ‘100 Most Powerful Women’ by Forbes Asia in 2010, Lakshmi Pratury has traversed an incredible distance professionally. Having studied Math, theatre, creative writing and with 2 MBAs, Lakshmi has gone from being a social entrepreneur to a tech company executive and a venture capitalist. Today, Lakshmi calls herself the curator and collector of people. She found her calling when she brought TED to India in 2009. 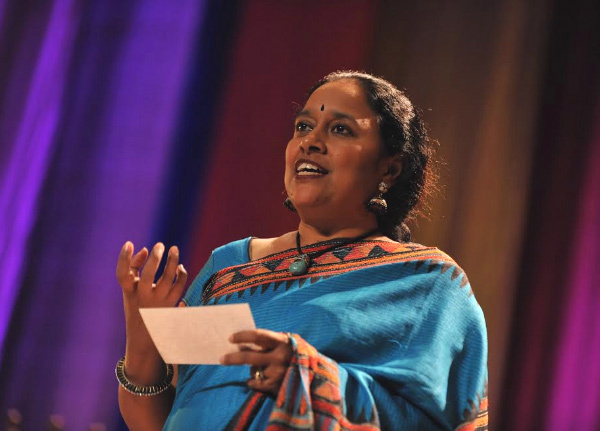 A year later, she curated and hosted the INK Conference, which carried forward the momentum created by TED India. Her passion is to connect the worlds of corporate, cultural and community through story telling. INKtalks.com has become a major platform of innovation with over 250 videos and over 17 million views.